A solid brick single family home in historic Ukranian Village. This renovated, charming home features 3 bedrooms plus a den with an amazing finished basement and 2.2 baths! 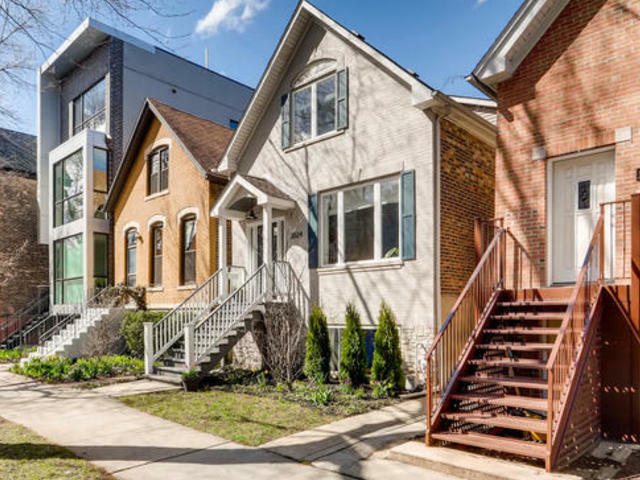 This location on a beautiful tree-lined street sits you walking distance to all UK offers ~ 606 & restaurants walking distance to both Division & Chicago Ave along with public trans. Home features a designer eat-in kitchen that opens up to the rear deck and beautifully landscaped yard. This set up is perfect for entertaining, relaxing, and everyday living. Bedroom (2nd floor) features 2 large bedrooms and a den that works perfectly for a nursery. The stunning master bath features a sep tub and shower. This home floods a ton of natural light, has a large basement with room for a guest room, entertaining room, and workout area. this home is the perfect compliment between old and new and locates you to all you need.